By Kristen Lomasney on April 2, 2018 at 4:04 p.m. 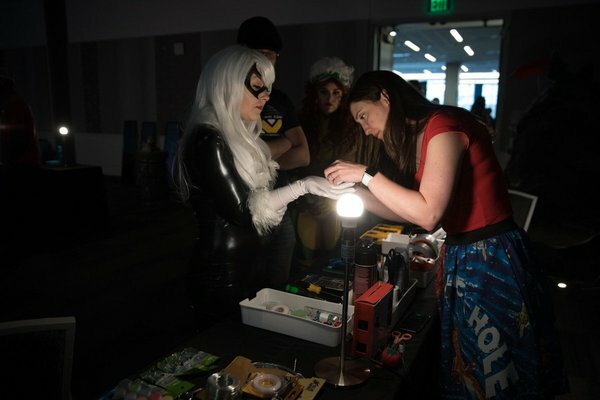 This year, in addition to Adam's panel, signing and Incognito, the Tested Cosplay Repair Room is back! 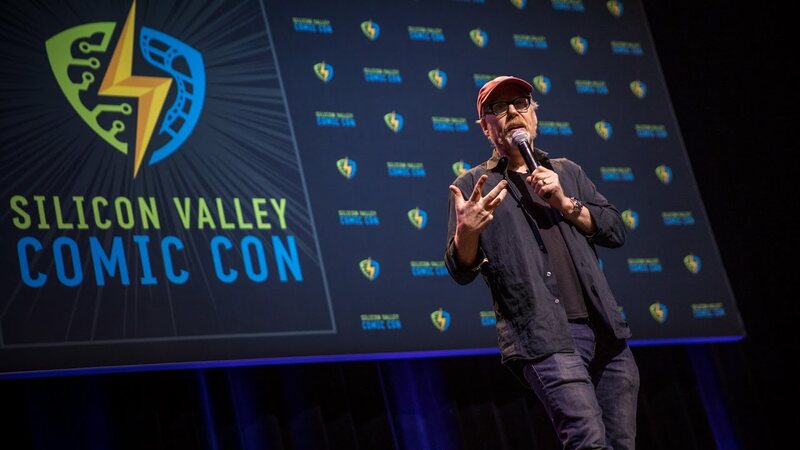 It's our THIRD Silicon Valley Comic Con, and our first con of 2018! This year, Adam will only be present on Saturday, April 7, but the Tested crew will be around all weekend. And we're offering the Tested Cosplay Repair Room, which includes some of Adam's costumes, as well! If you can't make it, there will be plenty of video on Tested.com, of course. And for those of you who CAN join us, there are still some tickets available. Stay tuned to Twitter (@donttrythis), because we'll Tweet when Adam is hitting the floor in his Incognito costume. The first person to identify Adam will get two passes to his panel later that day. If something comes loose or breaks on your costume, not to worry, because on the lower level we'll be offering our cosplay repair room again. It'll be stocked with materials such as glue and tape, as well as our own expertise. We'll also have a few of Adam's costumes on display! Last year, we filled the Civic Theater with 2,000 folks; this year, the biggest convention room holds 1,000. So be sure to come early ... as well as prepared with questions, because Adam will spend most of this time in conversation with YOU. Because we only have an hour or so, this signing will be ticketed -- but as usual, those tickets are FREE. Come by the Tested Cosplay Room any time after 10 am on Saturday to pick up your ticket! Only 150 tickets will be given out (one per person). Tested's Kishore Hari joins Dr. Kyle Kurpinski, Terry D. Johnson, and Dr. Megan Palmer in discussing the discoveries and innovations that inspire science fiction and the ways that science and engineering are depicted in popular television shows, comics, movies, and more. Virtual reality isn't just for video games and entertainment--it's a powerful tool that can change the way artists think about sculpting and painting. Tested.com's Norman Chan and Jeremy Williams chat with a panel of artists and developers using virtual reality to create new kinds of immersive art unlike anything you've seen in a museum.